June 8, 2016 – As you read this paragraph, a NASA satellite orbits around planet Earth, gathering data on — of all things — soil moisture. Moisture in the soil acts like a thermostat for the planet. Along with affecting agricultural production, it has a large influence on the weather and climate. Its impact on the planet is so important, NASA has sent a satellite into space to measure it. As sunlight is absorbed by the Earth, it can do two things for soil moisture. It can evaporate moisture in the soil. Or, if there is no moisture, it can warm the soil surface. This affects the amount of moisture in the air and the amount of heat the soil is absorbing, in turn shifting air patterns, weather, and climate. Soil moisture is an important component of flood risk. If water falls on dry soil, it can be absorbed. But if it falls on saturated soil, it can run off and lead to flooding. Soil moisture is always of top importance for those working in agriculture. The problem is that there are many different methods, instruments, and sensors that can measure soil moisture — including the NASA satellite called Soil Moisture Active Passive, or SMAP. Cosh is on a mission to ensure that information is accurate. 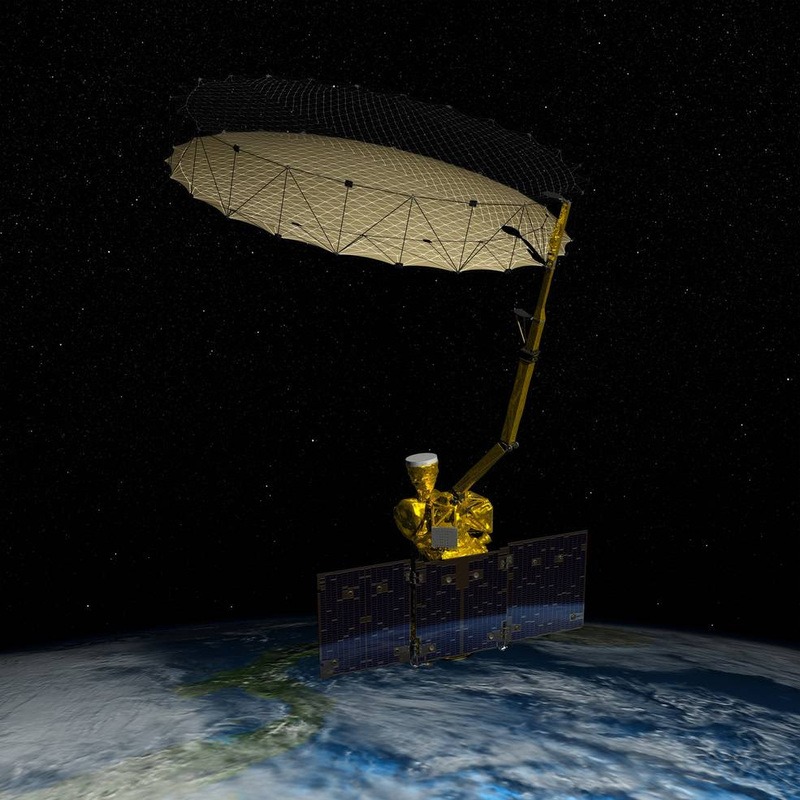 The SMAP satellite was originally planned to work in both an active and passive way. The passive sensor works like a camera, taking data from the Earth’s surface. The active sensor sends a radar pulse and collects the bounce back. Unfortunately, the active sensor stopped working on July 7, 2015. However, the SMAP mission is continuing with just the passive sensor. From space, the satellite obviously can’t directly measure soil moisture, but the signals collected by SMAP are strongly related to the moisture conditions on the surface. Cosh says the satellite actually measures characteristics of the ground and then uses complex equations to estimate soil moisture, with some error. Cosh and his team are hoping to help NASA reduce the errors. They compare their on-ground moisture measurements to the SMAP satellite data. By using numerous instruments here on Earth, Cosh and his team of collaborators are helping NASA determine the accuracy of its satellite. At the same time, they are working to ensure the methods and instruments they are using on the ground are also comparable. The Distributed Temperature Sensing system is being installed via a plowshear device on the back of a tractor. Graduate students are checking the insertion into the soil trench behind the tractor. Image Credit: M. H. Cosh. Cosh explains that to test different instruments he and his team must compare data from an estimate to the “truth,” which is the actual observed soil moisture. Obtaining this “truth” is simple in concept, but difficult in practice. A soil sample is scooped out of the ground, weighed, heated in an oven to evaporate any moisture, and weighed again. The difference between the two weights shows how much soil moisture evaporated. Using instruments to measure soil moisture is much easier but must closely reflect this true measurement — and that’s what Cosh and his team are trying to test. Using a satellite to gather data on soil moisture begs the question: Can we measure it on other planets? While Cosh says there are currently no plans to do so, the information NASA gains from its Earth experiences could help it explore other planets. “If we aim the satellite at another planet we would have the knowledge built up from Earth experiments to help interpret what that means on another planet,” Cosh said. Read more about this work in Vadose Zone Journal. 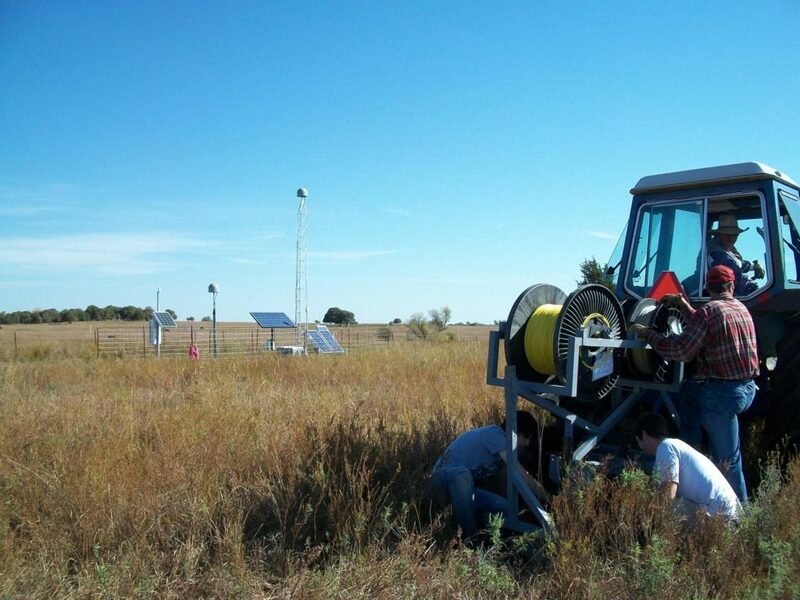 The SMAP Marena, Oklahoma, In Situ Sensor Testbed (SMAP-MOISST) was established in cooperation with Tyson Ochsner at Oklahoma State University and funded by the NASA Terrestrial Hydrology Program.